I’m Audrey Serenil an Austin Realtor with over 10 years of experience, I have a passion for educating buyers on the home buying process. I believe knowledge is power so whether you are ready to buy or just considering it, schedule an appointment with me so I can guide you the process so you are better equipped to make the best decision for your life. When you choose me as your Realtor, you get a full service team. My team’s experience and expertise will help make your real estate needs as stress free as possible. We are ready to work for you! I’m a native Austinite, I know Austin like the back of my hand, this give me the natural advantage when helping you find your dream home in my incredible city. When I’m not busy working for you, I love to spend time with my family and volunteering in my community. This was my first time buying a home on my own, and Audrey walked me through every step and constantly sent me updates and reminders on what things needed to get done. It was very helpful since it can be overwhelming. 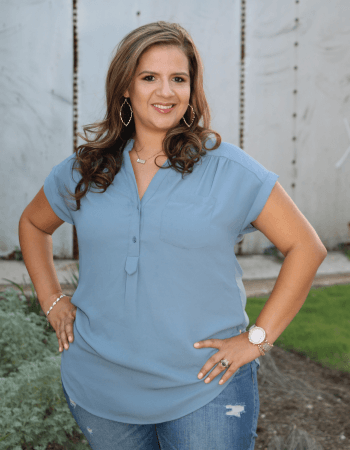 Audrey Serenil is an Austin real estate agent with deep roots in the South Austin community with several years experience in the Austin market as well as surrounding areas. She is very organized, efficient, knowledgeable & provides phenomenal customer service. Being a first time home buyer, Audrey was extremely patient with my concerns and eased any fears I had with information readily available due to her extensive experience in helping people become homeowners. There are no words to explain the gratitude and appreciation we have for Audrey Serenil. My husband and I were looking to buy our first home for our young family(2 girls). Right away Audrey helped us through the qualifying process that took lots of TLC from Audrey than probably she knew was needed. Audrey’s diligence and positive vibe was really helpful during that time. From the beginning, she was prepared with many options for us to look at that matched exactly what we were looking for. Audrey spent a lot of time with us looking for “Our” home that my oldest daughter thought she was family. To this day she still asks when are we going go to see Audrey again. With great joy and many prayers we closed back in February on our 1st home. Now of course we aren’t looking anytime soon, but I know exactly who will help us when we are ready for the next purchase to match our growing family. I bought a house a few years back and Audrey helped me through every step of the way. She took the extra step and time to show me many houses in my price range and location for me to be 100% confident in my choice. She was extremely easy going and offered great advise and opinions. With her help and guidance, I found and bought my first house with ease and have not regretted it! I felt so great about the experience that I even recommended Audrey to my friends who helped them find and buy their first home. I enjoy each opportunity I get to work with Audrey. She makes herself available for her clients and makes it a point that her clients understand everything that transpires throughout the homebuying process. Audrey is one of the best in the business when it comes to communication, which is crucial in the home buying process these days. She goes above and beyong for each client she works with and I would highly recommend her if you are looking for a reliable, professional, knowledgable real estate agent to work with. Audrey is a first class agent. We lived across town from her, but that did not stop her from showing us as many homes as we needed to see! She sold our first home for us back several years ago and found our new home for us when we were ready. She stayed with us, guiding us through the process and helped us purchase our second home. Both transactions were seamless and we could not be happier with Audrey. It’s always important to feel comfortable with your agent and Audrey’s kindness and professionalism made it easy. I highly recommend her and if we ever sell or buy again, we’re calling Audrey! It is with great pleasure that I write this letter of recommendation for real estate agent Audrey Serenil. I met Audrey for the purchase of a house in the fall and was very impressed by her professionalism and enthusiasm in not only finding me exactly what I wanted but multiple options. From the beginning I experienced top-notch realty expertise, from the numerous sets of real estate documents, the virtual tour photos, and daily updates on anything that came on market that met my search criteria. I was very pleased with the manner in which Audrey made appointments, presented me the properties, and represented me with sellers. The purchase went very smoothly and therefore I highly recommend Audrey for any real estate need. I used Audrey to purchase my first home after my divorce, I was nervous and had many questions. From the beginning throughout the process I felt at ease. Audrey always made sure to answer all my questions and address all my concerns. I couldn’t imagine working with another agent. I am not looking to sell my home and purchase a larger home for my family and Audrey will be my agent to help me sell my home and help me purchase a new one. I can’t put into words how wonderful Audrey is! She is always very thorough, explaining everything with great detail and making sure you walk away with complete understanding. Her kindness, eagerness, and utmost integrity make her one of the best out there. She is a true gem! 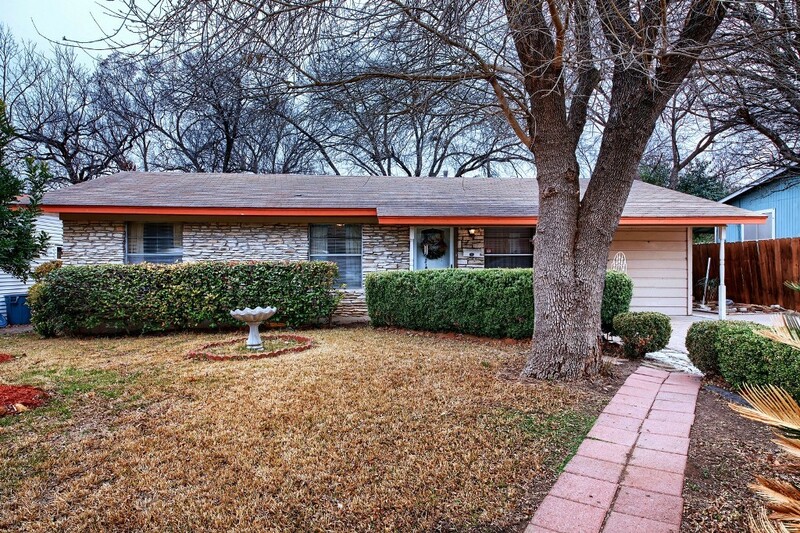 Audrey has helped us on the buy and sell of several properties in the Buda/Kyle area. She was fantastic with negotiating from the buying to getting us the best price on our properties. The quality and the amount of time and energy she put into staging and getting our home ready to sell was unlike any other. She has a top notch marketing plan, from the photos to the advertising, flyers, and social media. We would recommend Audrey to anyone looking to buy or sell their home. Old time Central Austin, with modern touches throughout. Still opportunity to enhance with your own style. Possibility of ADU, buyer must verify. Alley access, with a second gate to come in and out. Recent gate added for entrance to garage. 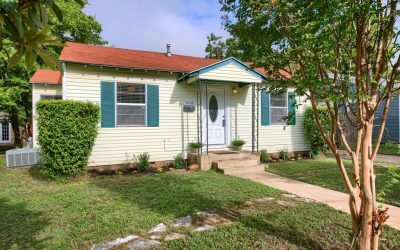 Great location, minutes to downtown/central Austin. On the property is a detached garage, with a nice size work area that is wired with electricity. Great investment property or owner occupied. Great open floor plan. Master bedroom has walk-in closet. 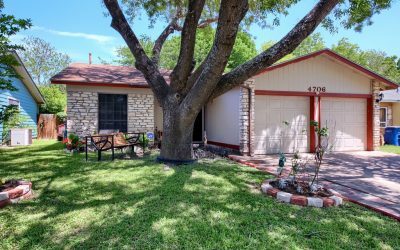 Well maintained home located in South Austin minutes from Downtown, easy access to Toll Road, Airport, near South Park Meadows. 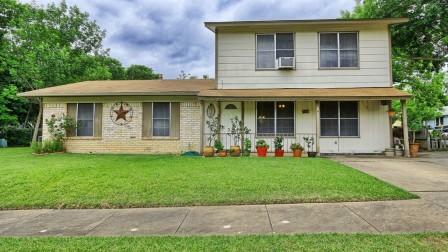 Great home located in an up and coming area ready to be updated. Great shaded back yard with nice covered deck, huge trees and 3 storage sheds. Separate laundry and utility room. Garage has been converted to great flex space. Formal dining room and large kitchen, houses was expanded in 2000. Nice curb appeal with huge oak tree. Lots of character in this home. Great investment property. Short distance to Downtown. Prime location! Judge’s Hill neighborhood! 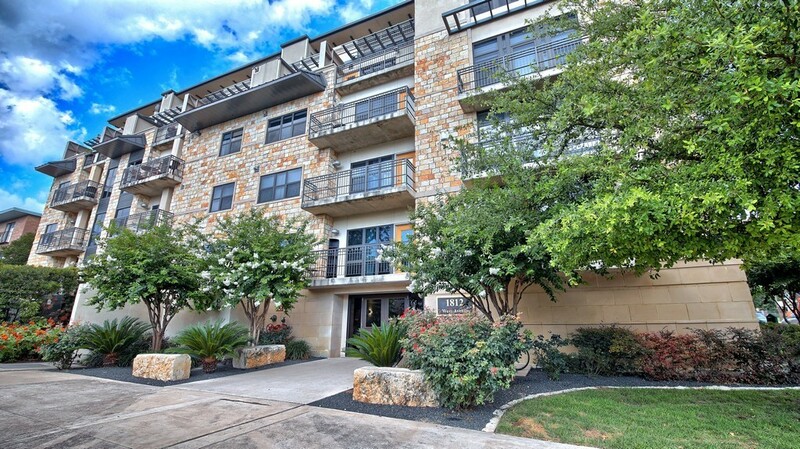 Minutes from UT, Downtown, & Lady Bird Lake. Smaller upscale Condo complex, with 45 units. Slate floors, recent wood floors in bedroom. Kitchen features granite countertops, upscale stainless steel appliances, and cabinetry. Refrigerator, microwave, & stackable washer and dryer convey. Very spacious floor plan. Low monthly HOA. Rare over-sized lot located minutes from downtown. This is a great find in upcoming South East Austin neighborhood. Lots of potential for this home, needs some updating and some work to be the perfect home. 3 full bedrooms located downstairs with full bathroom. Upstairs addition includes full bedroom, extra living space, walk-in closet, full bathroom. Well manicured yard, with large trees providing plenty of shade. Recent energy efficient AC unit installed.